Venom stars Tom Hardy as the titular anti-hero and follows the story of hardened journalist Eddie Brock and his discovery of a corrupt company’s plan to “advance” the human race. At first glance, Venom sounds like a different type of superhero movie; it revolves around an anti-hero, it isn’t set in a universe where superheroes are flying around all over the place (not yet at least), and the character itself is a bloodthirsty alien who is constantly craving human heads. That said, the film is more familiar and not as “edgy and different” as we were anticipating. Loosely based off of the Venom: Lethal Protector comic mini-series from the 90’s, investigative journalist Eddie Brock is trying to expose Carlton Drake, the notorious and brilliant founder of the Life Foundation. While investigating one of Drake’s experiments, Brock merges with the alien symbiote Venom — granting him with superhuman strength and power. Twisted, dark, and fueled by rage, Venom tries to control the new and dangerous abilities that Brock finds so intoxicating. Truth be told, Hardy carries this movie. His performance as Venom is definitely worth the price of admission, but his take on the character is the calm eye of the storm, surrounded by the noisiness that is the movie itself. The script is rather simple, and the plot points have been used numerous times elsewhere, but Hardy’s performance as a spiraling-out-of-control Eddie Brock and Venom doesn’t save this movie from falling into the rabbit hole of forgettable comic-book movie attempts to start a franchise. This is the first film in what’s expected to be the Sony’s Universe of Marvel Characters (SUMC), a group of films that focus on Spider-Man’s rogues’ gallery without Spider-Man. Since Spider-Man is currently running around with the Avengers in the Marvel Cinematic Universe (MCU), Sony is attempting to still make films with the characters that they have the film rights to, characters that are all related to Spider-Man since they still technically own his film rights. Along with Venom, Sony plans on making films for Morbius the Living Vampire starring Jared Leto, Black Cat, Silver Sable, a Silver and Black team-up movie, Nightwatch, Silk, and Kraven the Hunter. It’s safe to say that most of the general movie-going audience know next to nothing about these characters, and the result of Venom’s first solo outing may leave Sony’s Marvel characters wanting to run and hide behind the Avengers in the proper Marvel Cinematic Universe. Venom is a fun ride for sure, but it’s a hot mess nonetheless. The script is like its title character: slimey and symbiotic in the sense that its independence from Spider-Man will not last long unless Sony can find a way for these characters to be more compelling without their reliance on the webslinger. Aside from Hardy’s unhinged performance as the symbiotic Venom, the film doesn’t break any new ground in the comic-book movie genre. 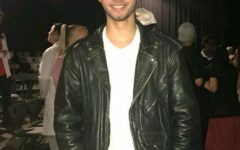 It’s a by-the-numbers origin story with a big name actor as the hero (anti-hero in this case), stylized fight scenes, a third act with a lot of CGI, the demise of a shallow villain that also just happens to be a dark-mirror version of Tony Stark, and last but certainly part of the formula, the setup for a sequel. Tom Hardy knocks it out of the park as always with his performance, and the action certainly jumps right off of the pages of the older Venom comics from the 90’s, but it isn’t enough for the anti-hero’s first appearance to be put in the pantheon of superhero movies such as The Avengers or The Dark Knight. If you enjoy action movies that are silly and fairly simple with plot, then I would recommend Venom. 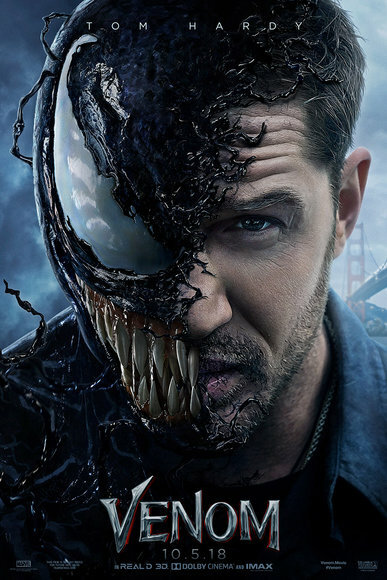 Hardy’s performance is more than enough to block out the overused plot points and clichés that we as a movie-going audience are accustomed to, and the sheer fun of watching Venom toss a SWAT team around like a little kid would throw their toys all over the place during a temper tantrum is definitely a blast. Despite Venom not being the ideal first movie in a franchise, Tom Hardy is spectacular in the role and with the origin story out of the way, the franchise has room to grow and hopefully improve.